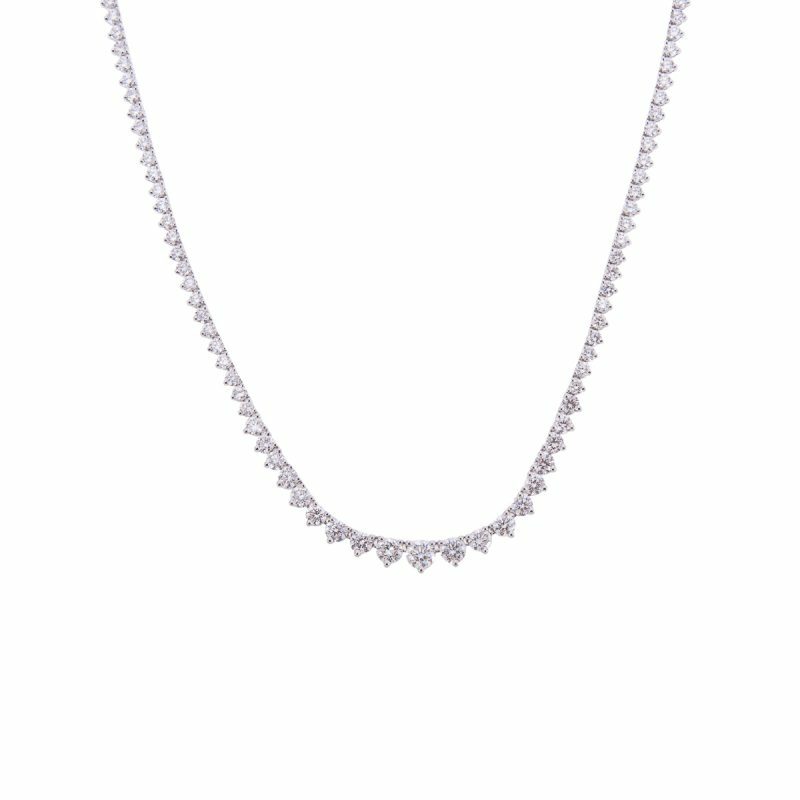 This exquisite graduated brilliant cut diamond necklet reflects timeless style and sophistication. Each individual stone is held 3-claw setting of 18ct white gold. 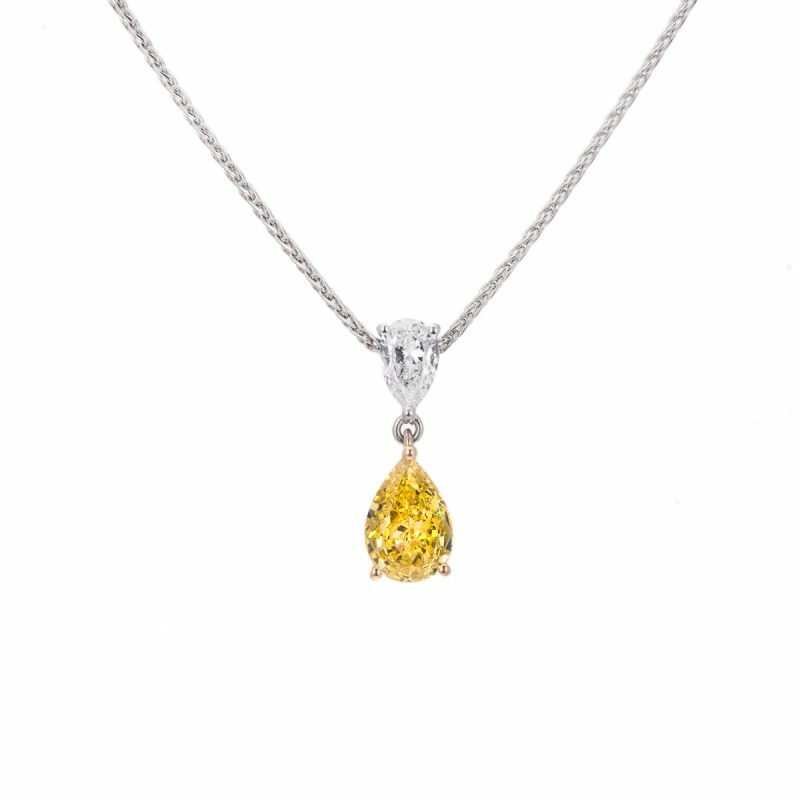 A masterpiece of the jeweller’s art. 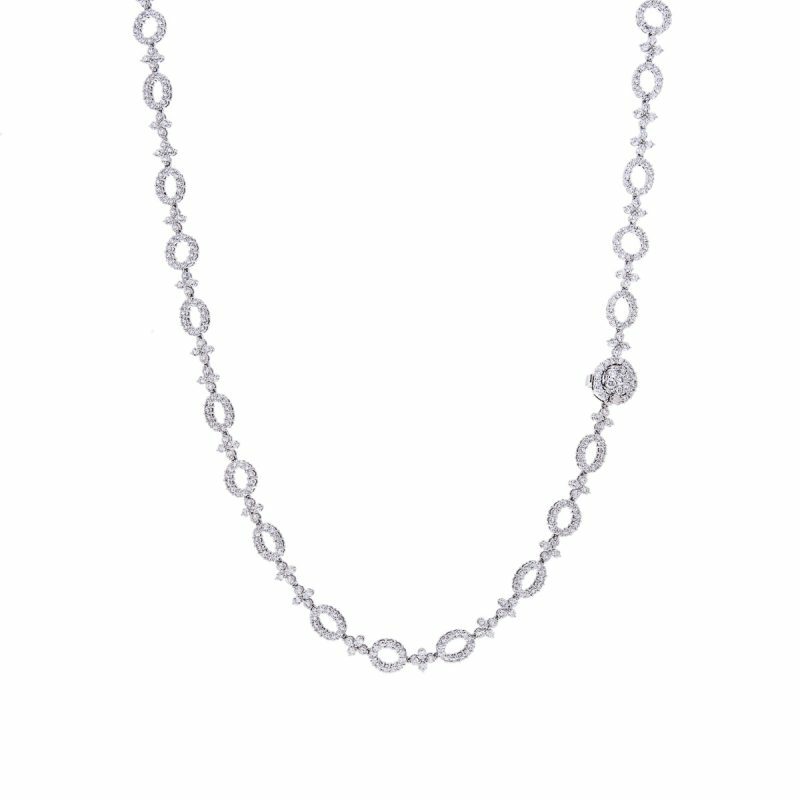 A necklet that harks back to the elegant age of slipper satin, cocktails at Claridge’s and moonlit Mayfair nights. Chanel’s adage is epitomised in this sinuous diamond bracelet, “always remove one item before leaving the house”, this line of sparkling diamonds is all one would ever need.